Saginaw Bay weather has made this area very spotty and some days not fish-able. Overall, catch rates were good when you could get out. Walleye were caught on crawler harnesses out near Buoys 1 & 2 and spoons along the east side of the shipping channel. 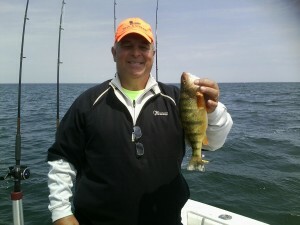 A few perch were also caught by those trolling. 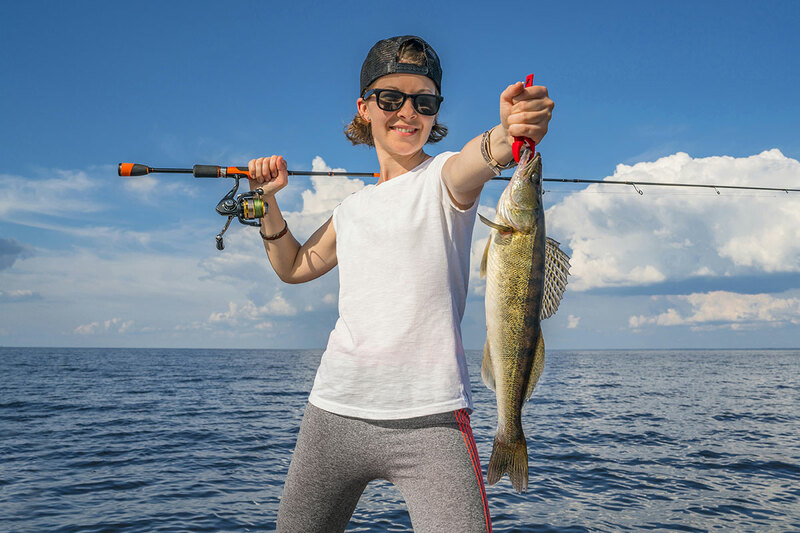 Walleye were caught on crawler harnesses in front of the Bay City Recreation Area in four to 10 feet and off Finn Road in six to eight feet. Best area overall was around Bay Port. Some caught limits while others caught none in the Slot. The fish were scattered off Quanicassee and Fish Point. No anglers were fishing the Hot Ponds. 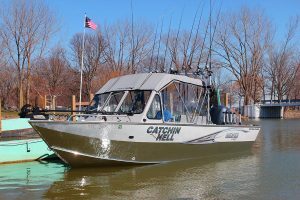 Saginaw River anglers caught channel cats, smallmouth bass and freshwater drum. 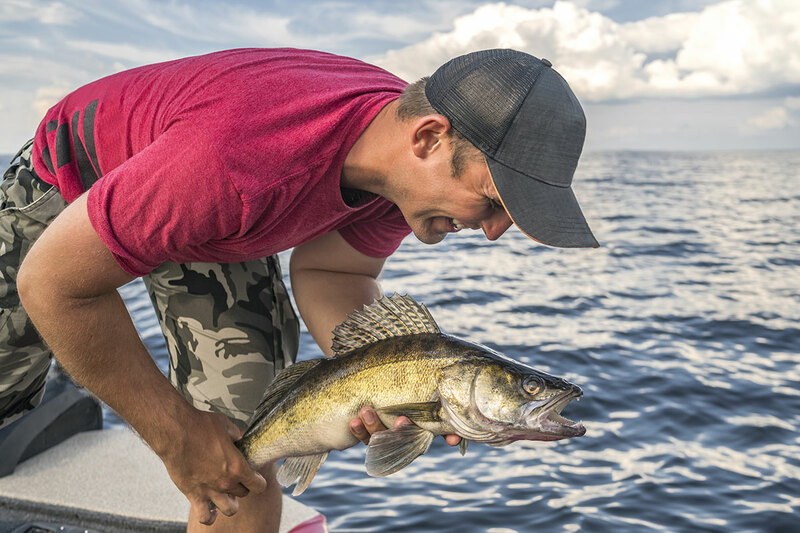 Au Gres Area limit catches of walleye were taken in 30 to 45 feet straight out or to the south towards the shipping channel when using crawler harnesses. Au Gres River is producing channel catfish and freshwater drum. Grindstone City was slow. Shore anglers are catching pike and smallmouth bass but most were undersize. Try minnows and slip bobbers. Oscoda lake trout can be found straight out, to the north and the south. Most anglers had success in 80 to 150 feet with spoons, cut bait and wobble glow’s. Fish are suspended so spread you’re bait throughout the water column. Au Sable River walleye are coming in and most are being caught up river behind the bank and further toward the dam. Crawlers and body baits have produced the most catches. Some good catches of brown trout were reported on the South Branch. Port Austin anglers are searching for walleye but not really catching any yet because the waters are still cold. A few brown trout were caught in 30 feet. Tawas Area walleye fishing was good near the Crib in 18 to 25 feet and along the drop-off in 35 to 70 feet. Try crawler harnesses, spoons and body baits. A lake trout and one Atlantic salmon were also caught. Pier fishing was slow. There was a big mayfly hatch in progress. Tawas River is producing a few channel catfish, pike, smallmouth bass and freshwater drum. 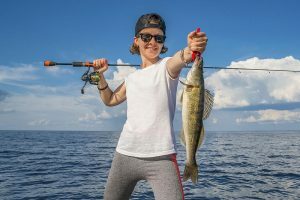 Floats can be a useful tool for anglers looking to find bigger fish while also producing a relaxing fishing opportunity while sitting back and letting the gear work its magic. 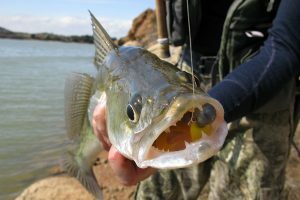 Using a float, such as a traditional bobber, classic teardrop or oval-shaped option, will allow fish to have time to check out your bait up close and decide if they want to take a bite. Anglers will also need to decide between using a spring-type fixed bobber or a slip bobber. A slip bobber offers you more flexibility because it can move up and down the line – depending on where you put a stopper.